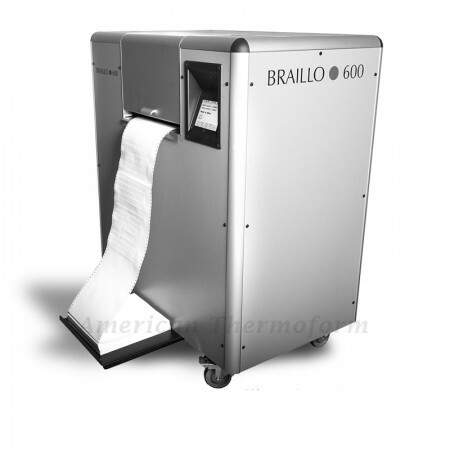 The Braillo 600 Braille Embosser is a larger and faster counterpart to the popular Braillo 300. At 600 CPS (1800 pages per hour), it is twice as fast as the Braillo 300. It is extremely reliable and capable of being used for around the clock Braille production.